This also has the advantage of freeing me from a name that’s associated with a specific subject matter. I think painters just paint – not all that many confine themselves rigidly to only painting certain types of things. It’s more that a growing fascination with a subject beckons them down particular paths, but there’s always the possibility that another path might look just as enticing at a different time. Using the same logic that led to the moniker fellpainter, a move to the city could mean that I would have to become ‘buildingpainter’, or the seaside, ‘wavepainter’, it could become quite costly and fiddly having to swap domains with every life change. 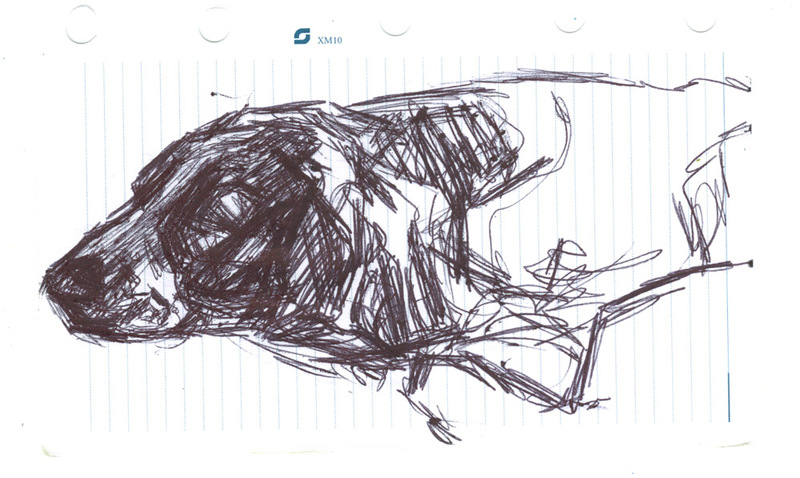 This entry was posted in drawings and tagged biro sketch, biro sketch of dog, dog drawing, dog sketch, domain names, fell painter, fellpainter, painting subject matter on April 18, 2013 by fellpainter.